Maurice Lacroix brings a new face to time measurement with its Masterpiece Seconde Mystérieuse. 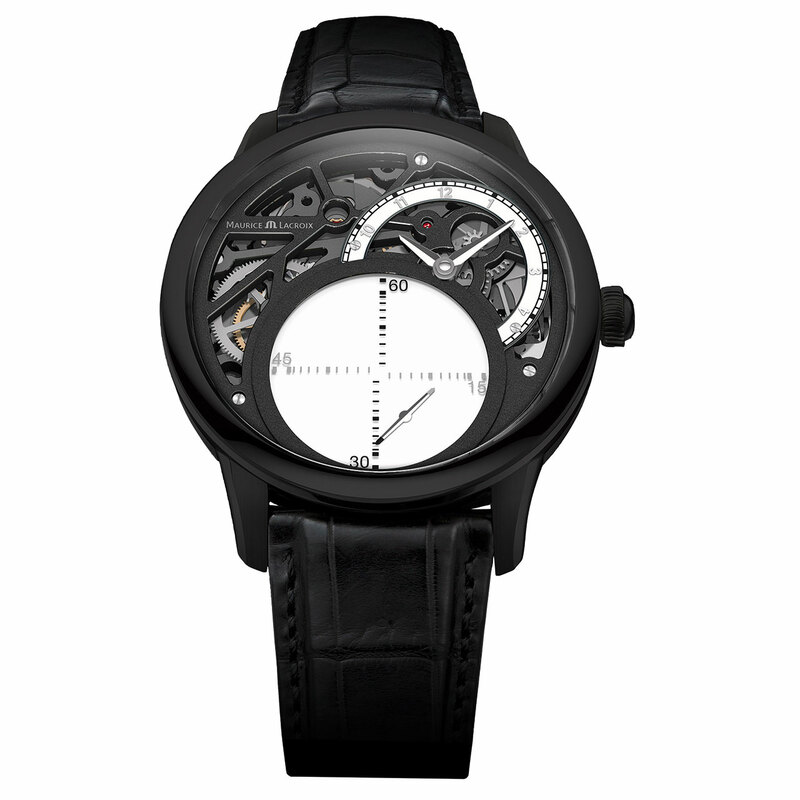 Fascinating, captivating, unconventional… this timepiece is all of these but, more than anything, it is mysterious. 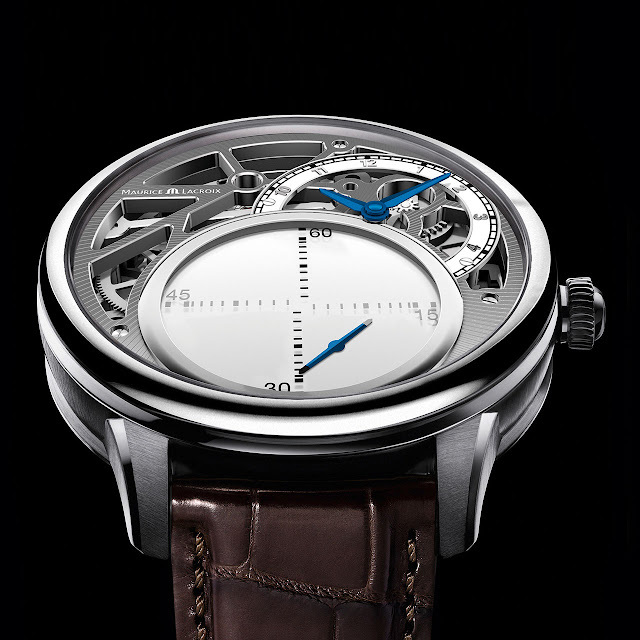 Driven by a new proprietary movement, the ML215, – the twelfth to be entirely developed by the brand – it indicates seconds on a linear display combining vertical and horizontal scales, read per 15 seconds. The mystery comes from a blued steel hand that rotates on its axis, creating the illusion of levitation. Hours and minutes are shown at 2 o'clock; the rest of the dial is cut away to reveal rhodium- or ruthenium-plated bridges whose geometric form lends an infinitely contemporary feel. Made as two 125-piece limited series.